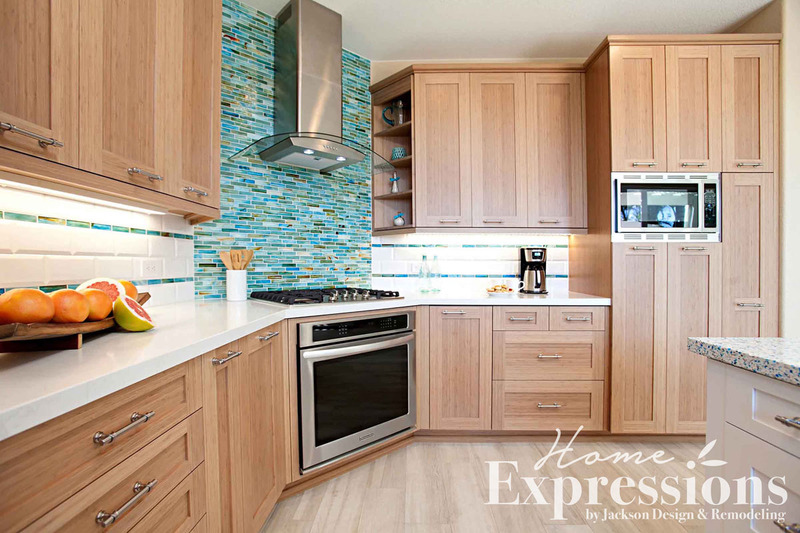 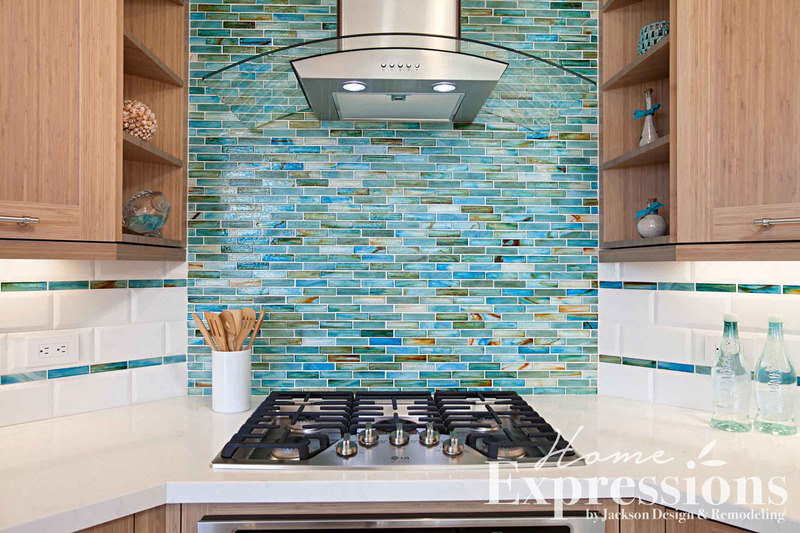 Pops of exhilarating aqua and turquoise make an exciting contrast with the natural tones of the bamboo floor and cabinetry, evoking the elements of sea and sand. 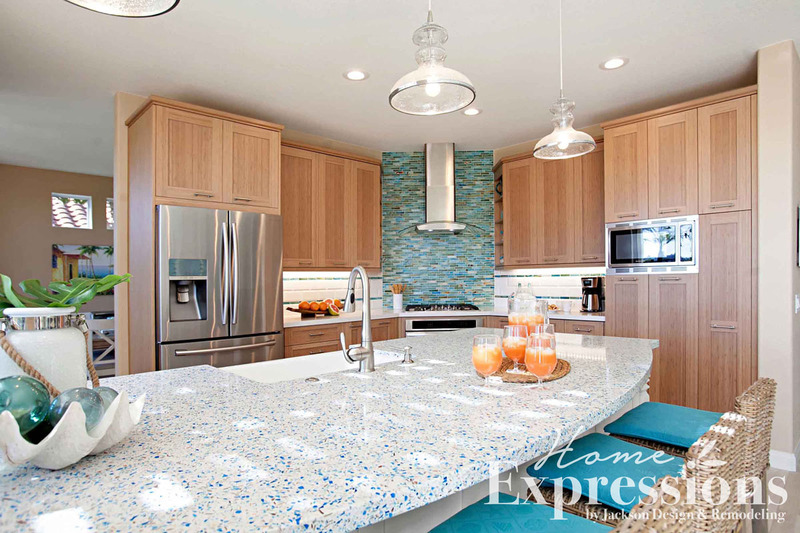 An intriguing island countertop created from cement with recycled glass is reminiscent of sea glass found on the shore. 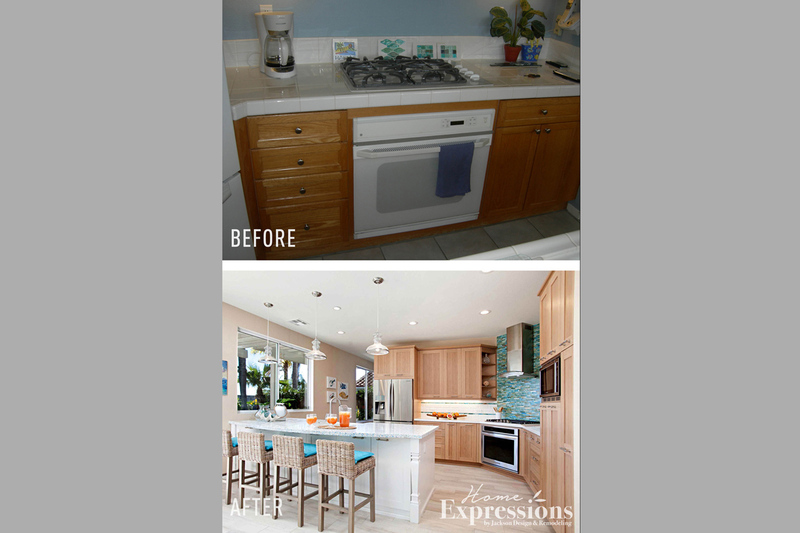 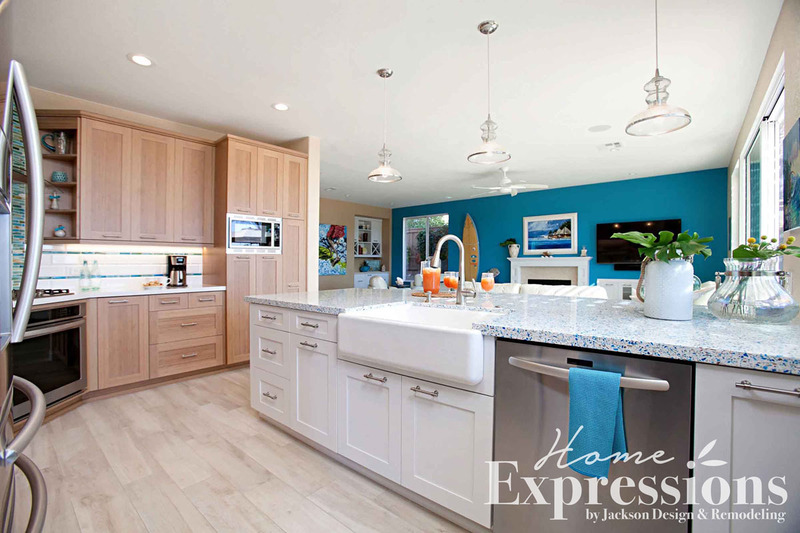 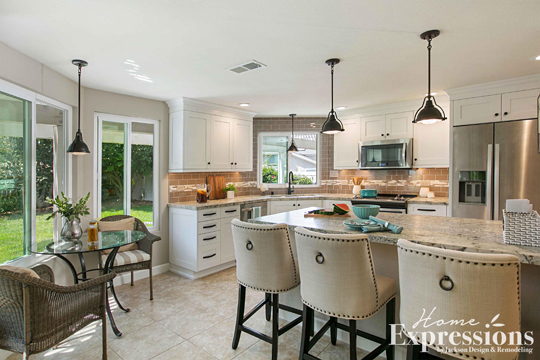 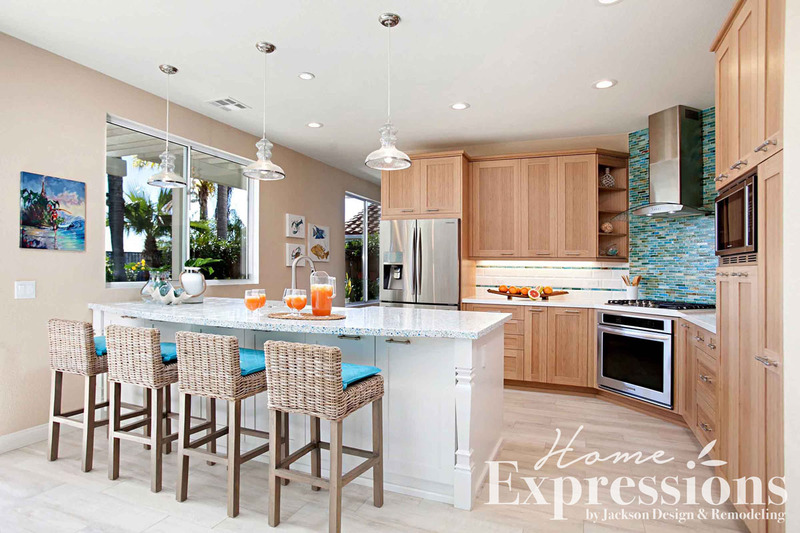 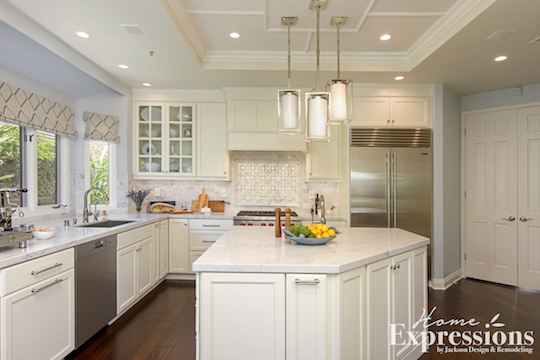 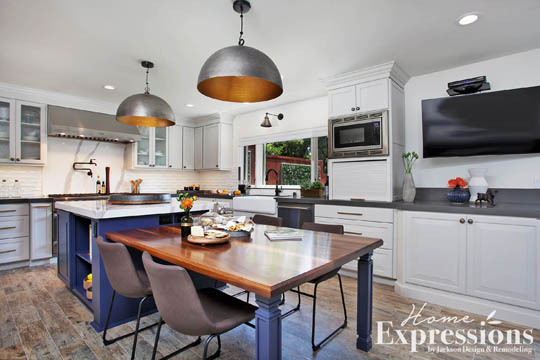 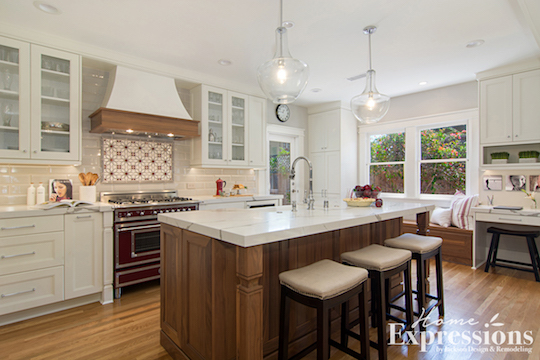 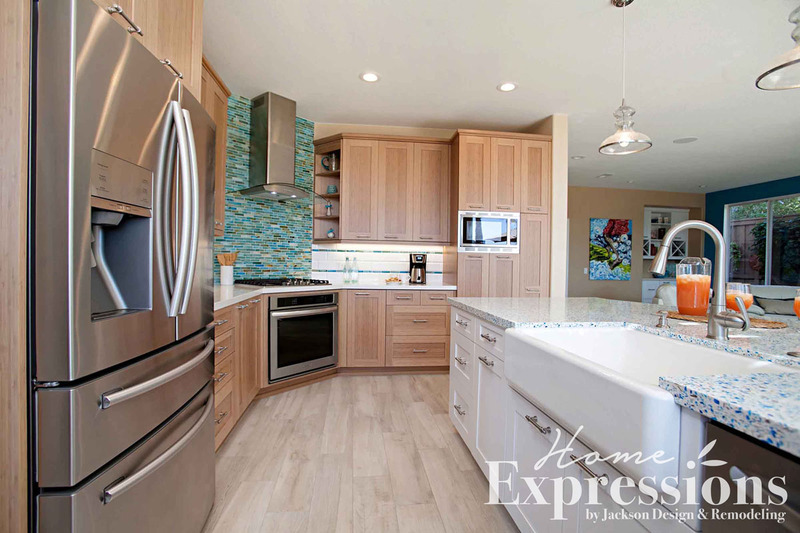 For a couple who loves spending time at the nearby beach, this fresh and inviting kitchen is a stylish extension of their active lifestyle.